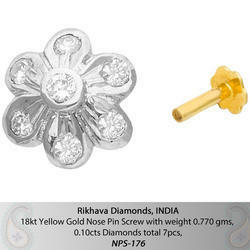 Assisted by our team of hardworking professionals, we are indulged in offering an extensive gamut of Diamond Nose Pin. Owing to the huge demand of our clients, our provided premium gamut of Diamond Studded Nose Pins is available with us in different intricate designs. 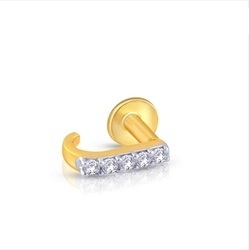 To meet the necessities and requirements of the consumers, we are presenting a quality collection of Fancy Diamond Nose Pin. Due to their attractive patterns, our product is enormously well-liked by patrons. Blue Stone Jewellery & Life Style Pvt Ltd.